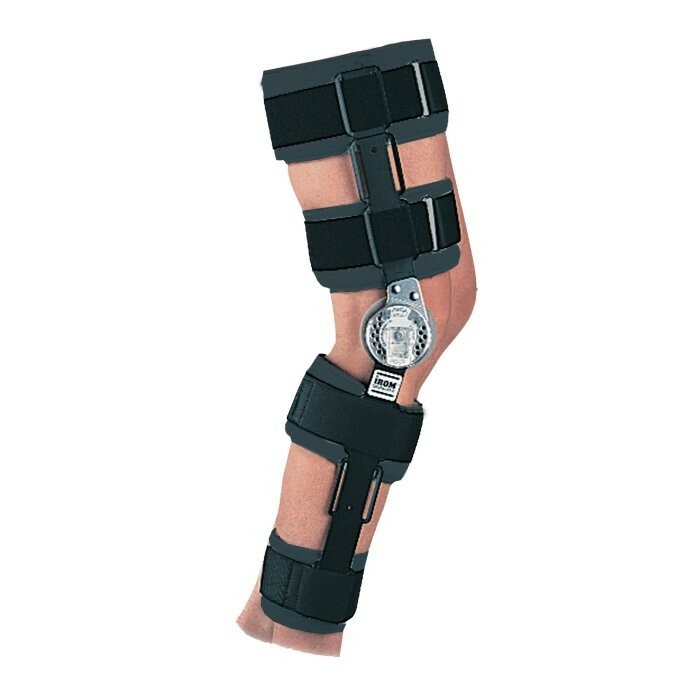 The Telescoping Cool IROM® is one of DonJoy's premier post-op brace. Easily sized and easy application for difficult to fit patients. The IROM is the industry standard providing precise range-of-motion control in 10 degree increments. For warmer climates, the Cool IROM® provides immobilization and precise range-of-motion control for ACL, PCL, MCL, and LCL surgeries. The telescoping bars allow the brace to fit a variety of patients. The brace length adjusts with the push of a button-no tools are required. The buckles allow for fast and easy strapping. The brace can extend to the ankle to help prevent migration. Precise range of motion control. Easily size and custom fit the brace to the patient. Buckles allow for fast and easy strapping. Brace can extend to ankle with ankle stirrup to help prevent migration. Available with full-circumference shells for added stiffness and tissue containment.